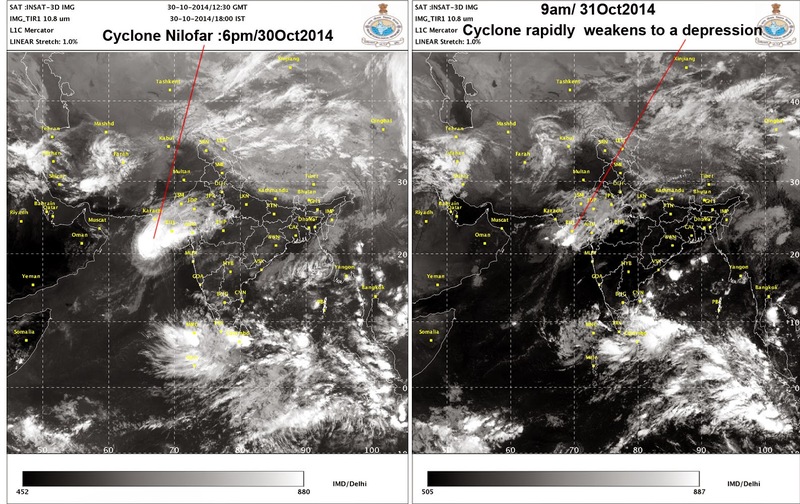 The top IR images placed clearly shows the death of 'Cyclone Nilofar'. 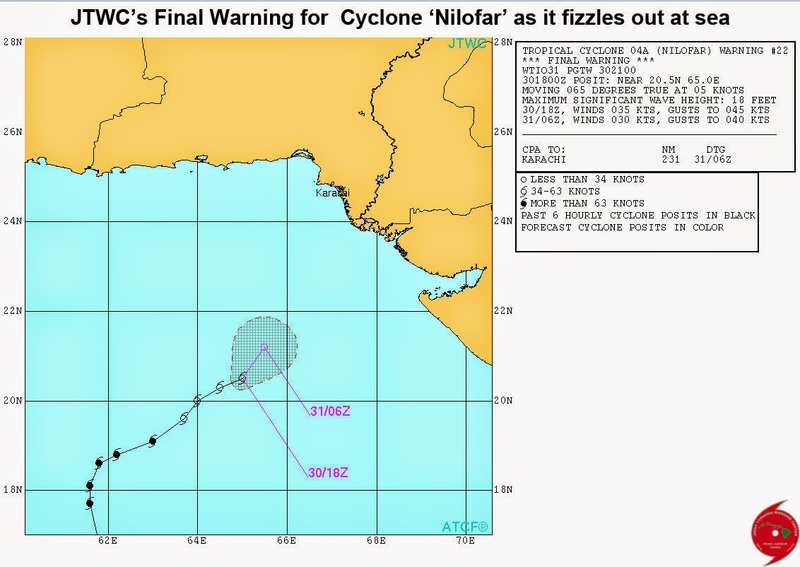 As per IMetD, the depression shown on the image on the right is expected to 'move northeastwards and weaken into a well marked low over the northeast Arabian sea off north Gujarat coast during the next 12 hrs'. Which brings into question what about predicted landfall on 01Nov2014?